Mesothelioma is a rare and deadly cancer directly linked to asbestos exposure in mills, shipyards, and in the heating, construction, and automotive industries, as well as the military. Approximately one-third of mesothelioma cases have been shown to involve U.S. Navy or shipyard exposures. There are also documented cases of secondhand asbestos exposure that have caused mesothelioma. 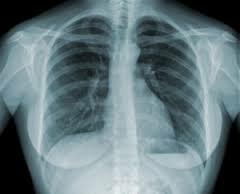 Symptoms of mesothelioma — including persistent cough, chest pains, and loss of appetite — may not begin to appear for 20 to 50 years after exposure. Even though the use of asbestos in building materials and other products peaked more than 30 years ago, this slow-to-develop, incurable and deadly cancer is still being diagnosed. If you or a loved one has been diagnosed with mesothelioma, you may be entitled to compensation. Contact us today for a free case evaluation.